Most of the races in Canada take place in spring and it is regarded as the best time to take part in such events. The best part of the Canadian races is that they are heavily publicized by the media. These races are mostly for the charitable purpose but it is not the case in every scenario. Some of the ratings are pure sporting events which the Canadians run to win. The best part of the races is that it allows the participants to mingle and get to know more people. This is one of the best ways to experience Canada if you are the tourist here. Only people with strong stamina are advised to take part in this race. 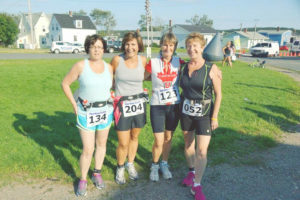 Melissa’s Road Race is one of the most run races in Canada. The best part of the race is the uphill which is the real test for the participants. The cool views and the hard work together is the startling combination. There are 2 routes out of which you can choose any of your choices. 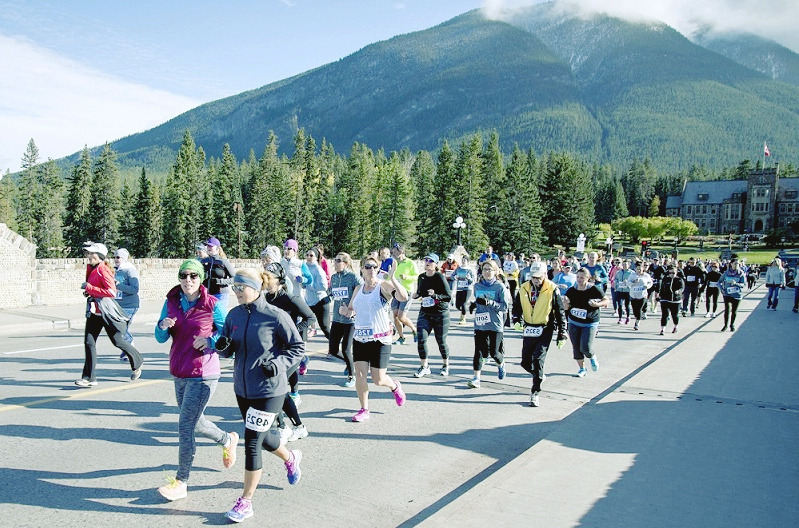 The 10 km and the 22 km routes are both fantastic and make sure that you get the best and the most panoramic views of Banff where the race takes place. 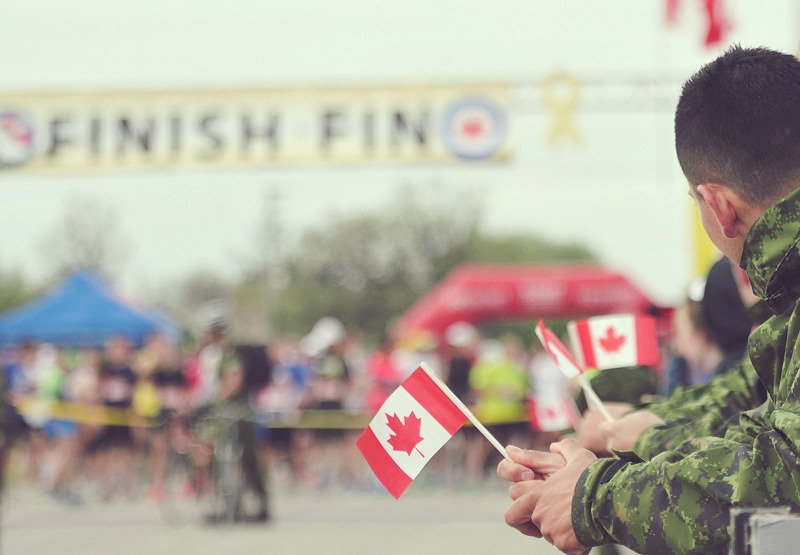 As the name suggests this event takes place under the command and control of the Canadian Airforce. You should expect some hard drills and practice in this regard but it is not the case. This race has 2 routes out of which you can choose one of your choices. The 10K route is recommended to the people that are relatively young and the 5K route is for the old. The best part of the run is that it is protected by the Air Force personnel and therefore it is highly recommended to all. It is the unique race which you should take a shot at if you think that obesity is overcoming you. It is organized in Quebec City and is attended by many from all over Canada. 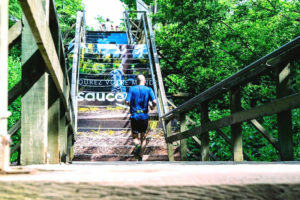 There are 3000 stairs in total and the challengers have to go up and down all the way to get to the lower Quebec City and back. There are 3 hard challenges which you need to pass to earn a medal or certificate. Overall time, best climber and the best sprinter are the challenges which you need to overcome to win the race. If you want to learn more about the history of the region then this race is definitely for you. It is the 8-mile loop which you need to cover to come back where you have started. It can also be regarded as one of the oldest races in Canada. It was first to run in 1713 and since then it has rapidly expanded into something that is highly organized and is considered a complete event. The old town and the Louisburg fortress with the traditional bakery bread are some of the highlights of the race that you can enjoy.